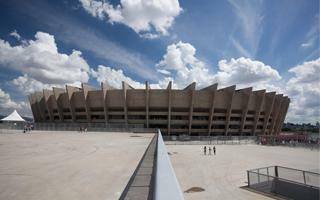 Planning works for the region's largest stadium started in 1959, though were under consideration since 1940s. 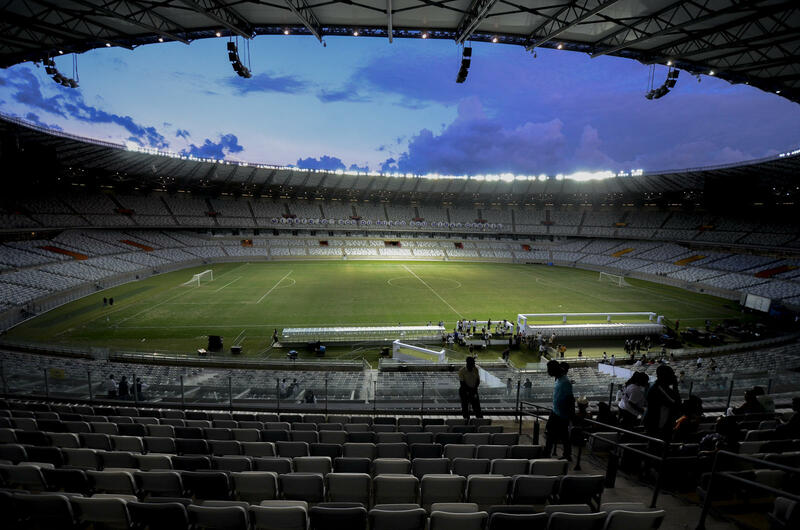 All major clubs already had their venues, but a central one for largest games was still missing. 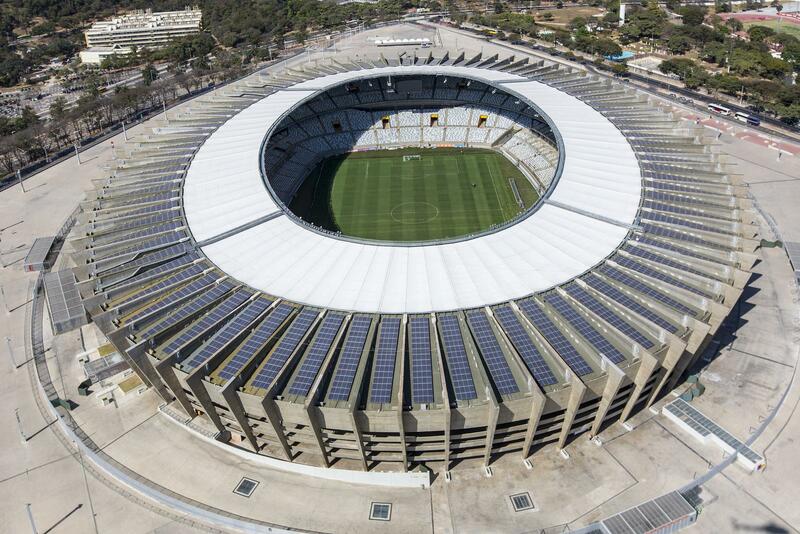 Even the Independencia, built for 1950 World Cup, was too small to meet demand with its 30,000 capacity. 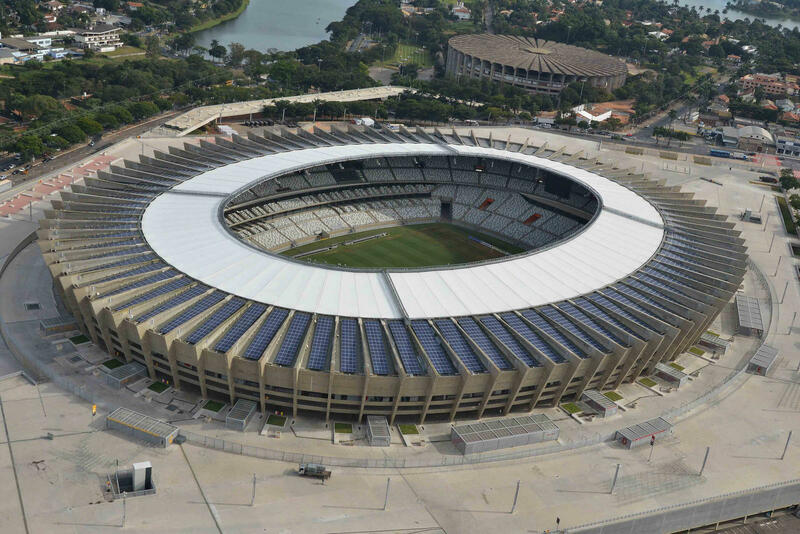 After numerous tests and modifications actual construction works began in 1960 and lasted for 5 years, with the stadium being an evolution of other flagship venues of that time – Maracana or the Tokyo Olympic Stadium. 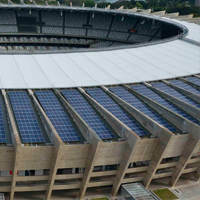 A massive 5,000 people worked on the project over the construction period. 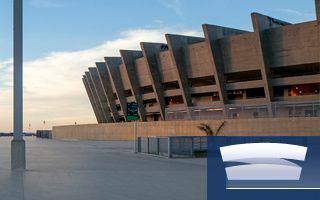 For decades the iconic structure remained unchanged, holding the most important games not only in the Minas Gerais region, but also international ones, with Brazil national team matches, continental club cup games and others. 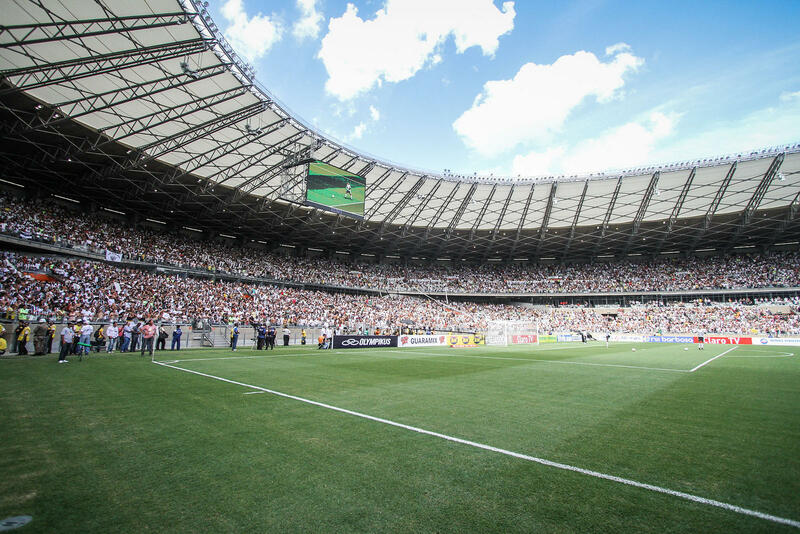 Most frequent users have always been Atletico Mineiro and Cruzeiro, each playing well over 1,000 games at this location, watched by 40 million people alltogether (not including local derbies! 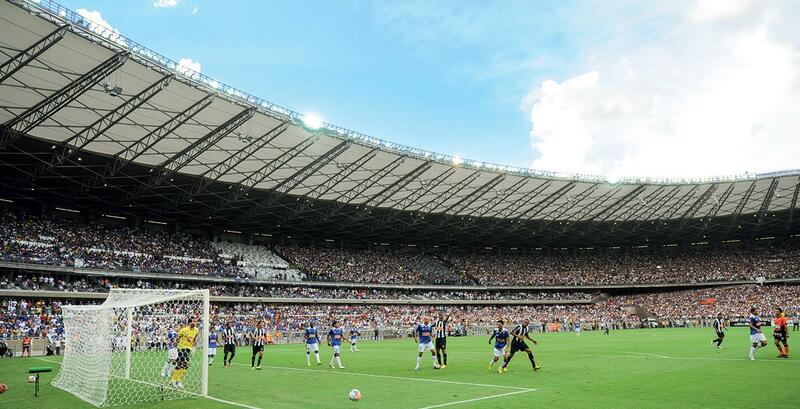 ), but also smaller clubs played host here, to name just America. 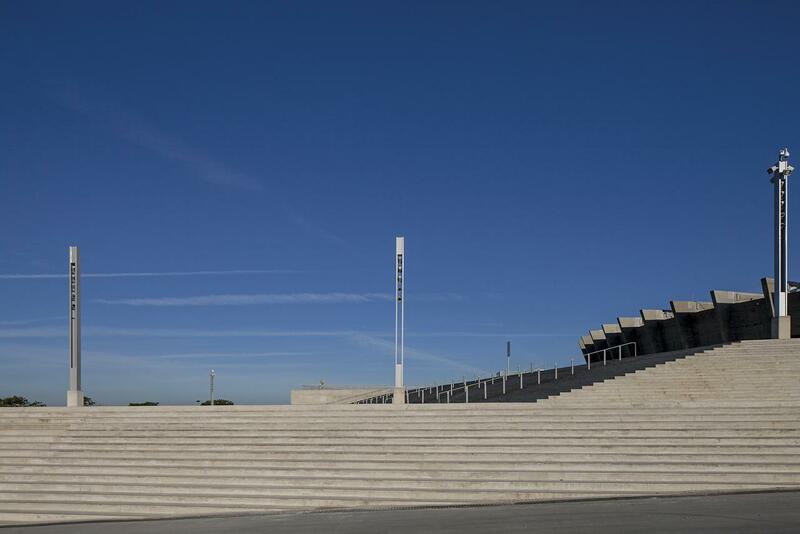 In June 2010 the venue was closed for reconfiguration. 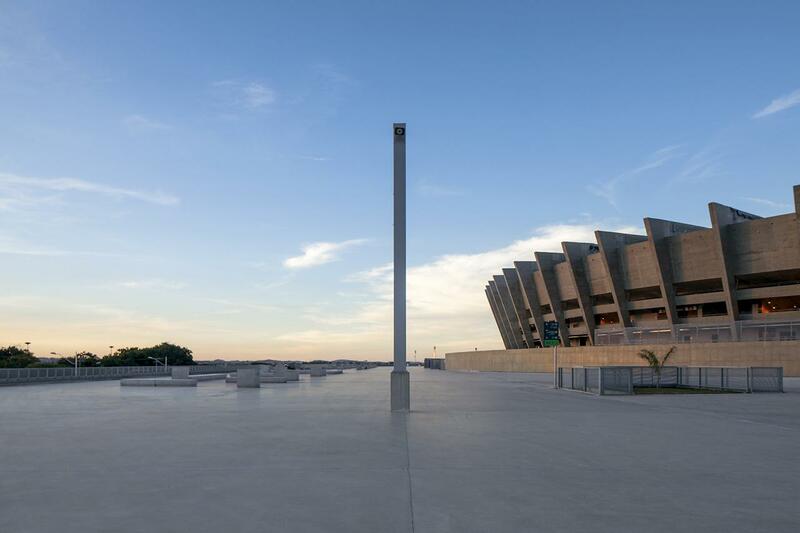 Due to its historical and architectural importance one aim was to preserve its concrete shell with façades and roof, thus allowing only minor changes in the structure. 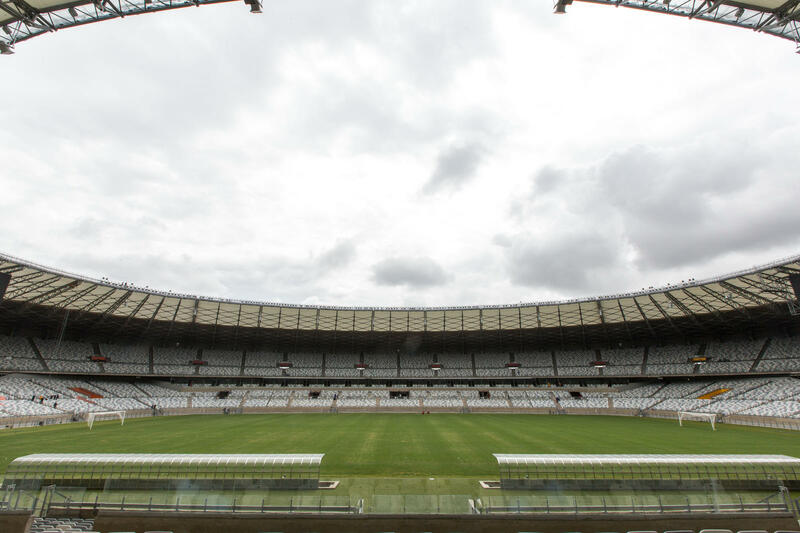 Roof was extended and part of the stands replaced and reconfigured to get closer to the playing field. 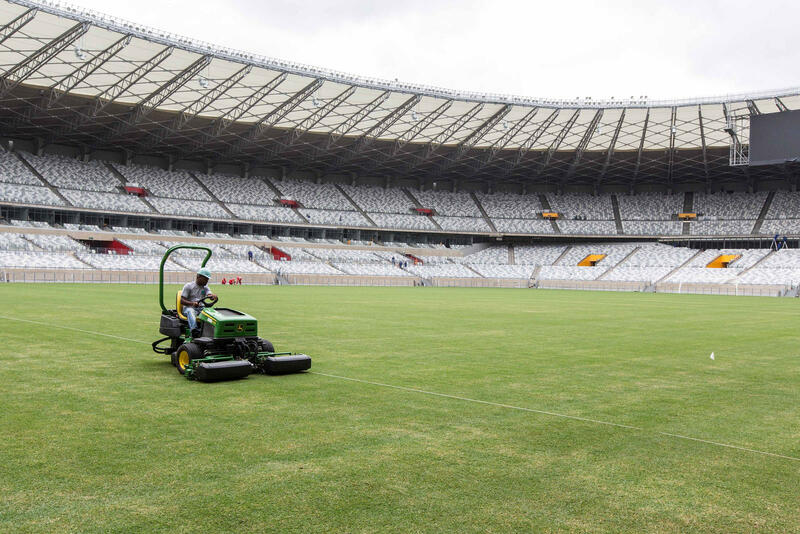 First official game after the works, which were to improve the stadium ahead of 2014 World Cup, came in February 2013. 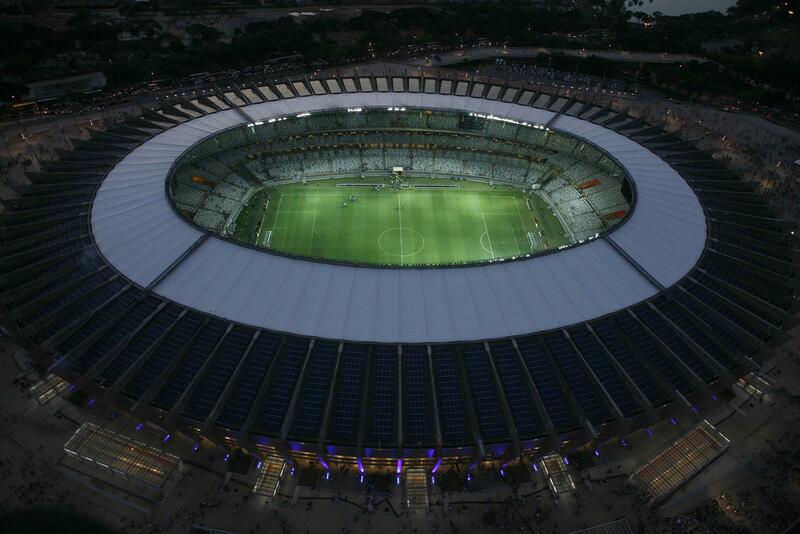 Brazilian sports ministry ranked 155 football stadia across the country, giving them notes of 1-5 stars. 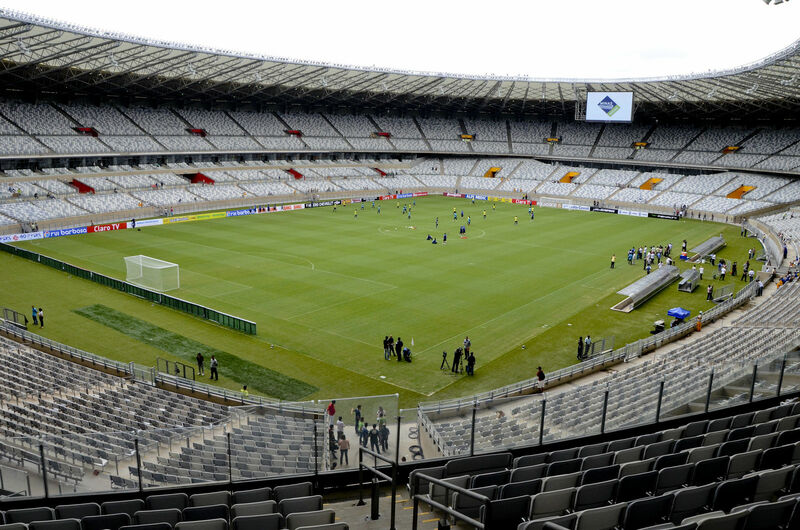 Just 16 venues were given 4-5 stars, while 88 were ranked 1-2. 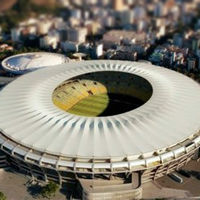 As we’re just hours away from the opening ceremony, here are the stadiums hosting Olympic football and many more events! 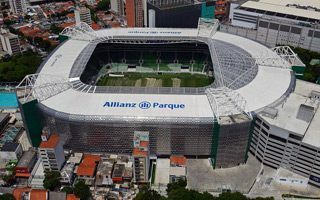 One of Brazil’s leading clubs is in dispute with stadium operator over the cost of organizing games at the legendary Mineirão. 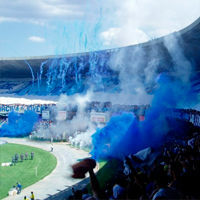 Recently local civil court denied the club’s claims. 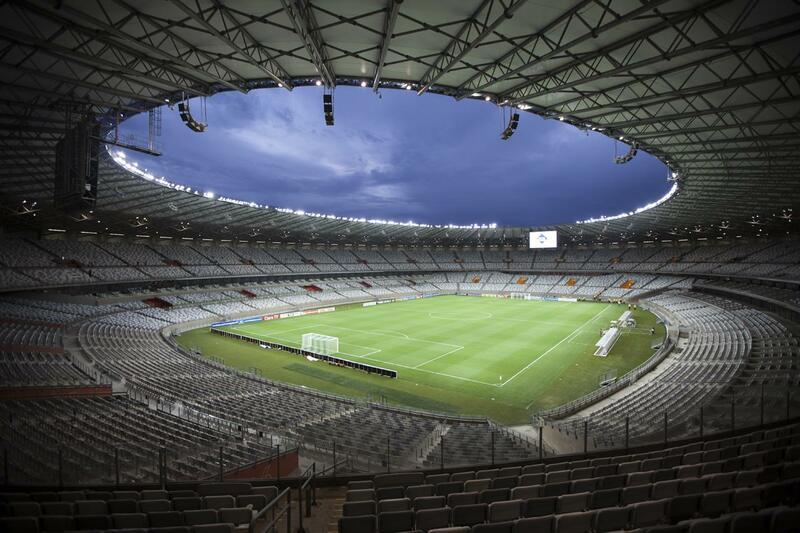 Over the years Atlético Mineiro have been playing in two stadiums. 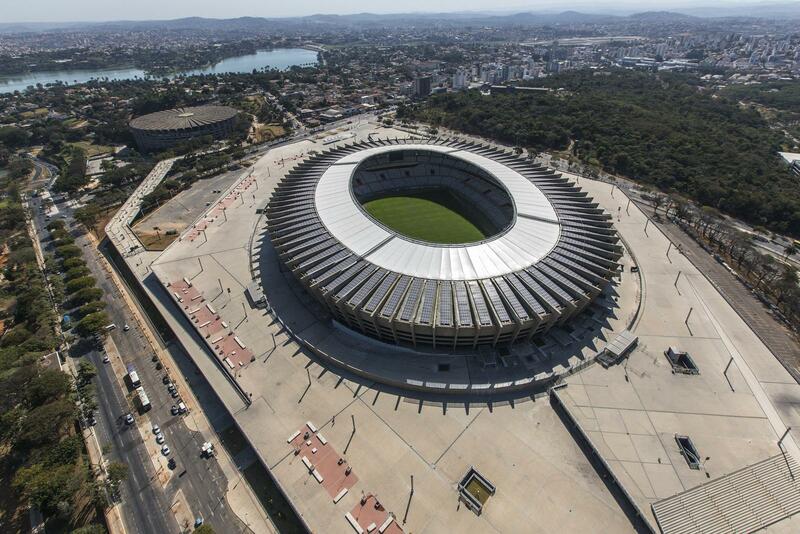 Now they’re settled on building a third one to call their own (and not share revenue with public authorities). 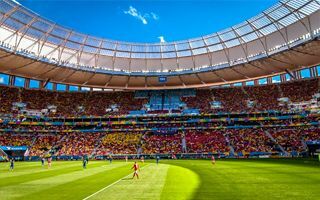 The World Cup was seen live from the stands by almost 3,43 million people. 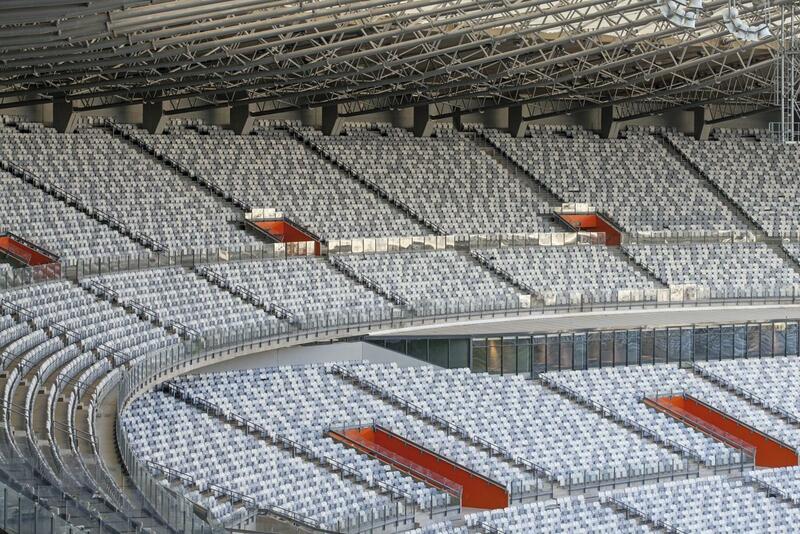 Or so says FIFA, who haven’t disclosed actual number of viewers, sharing only number of distributed tickets. 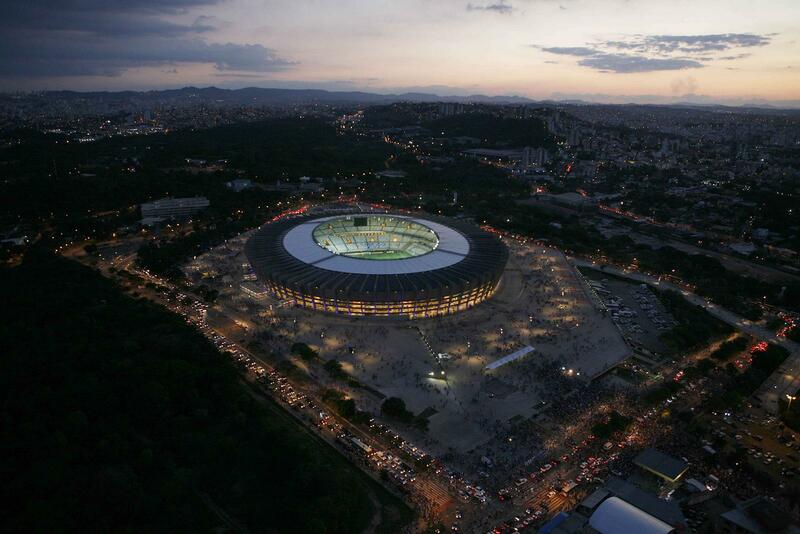 10.07.2014 Report: How much did Brazil spend on World Cup stadiums? 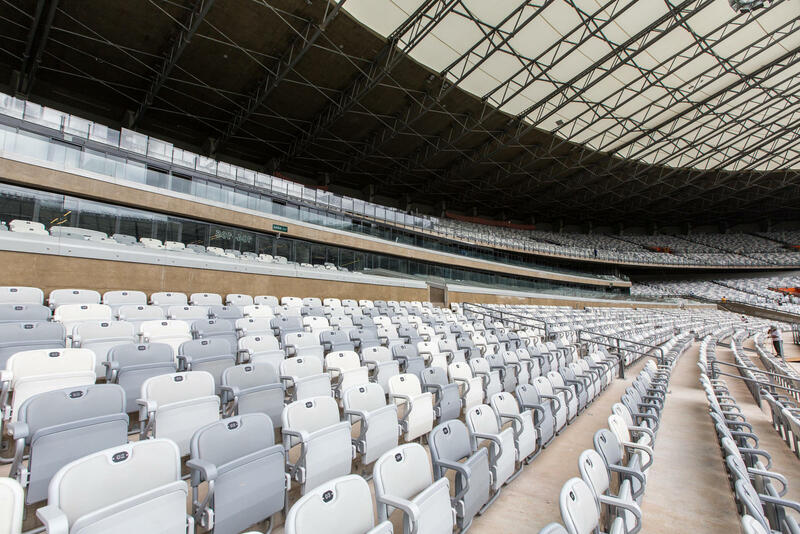 Cost overruns and ‘white elephant’ fears are a frequent title lately. 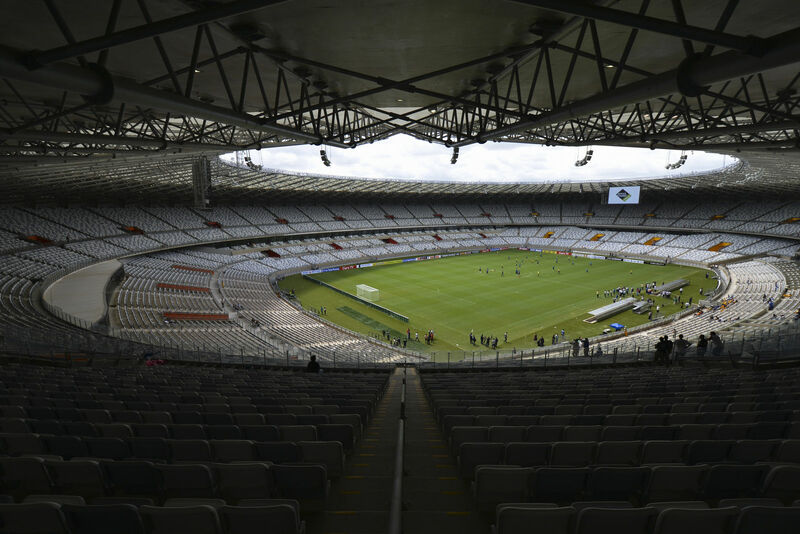 But reality isn’t black and white – Brazilian stadiums are hardly the most expensive ever and some seem to be a really good deal for the taxpayers. 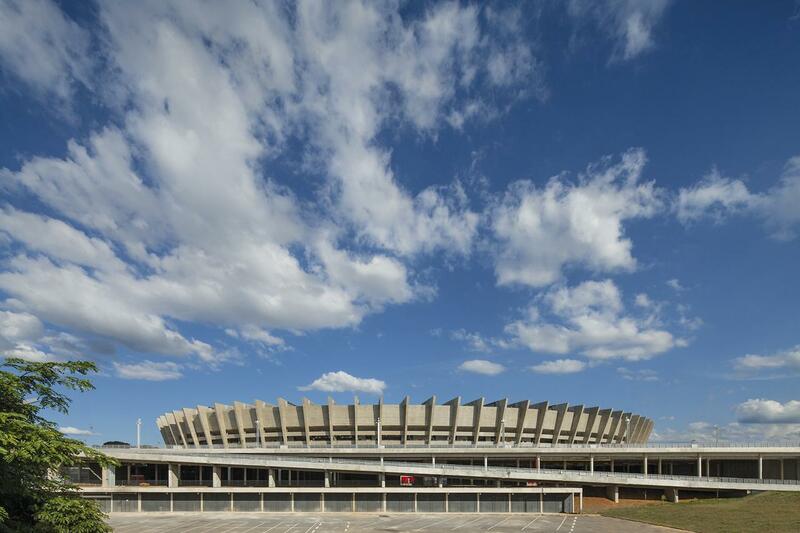 If you look at it from nearby avenues, the giant Mineirao may seem untouched by the World Cup redevelopment. 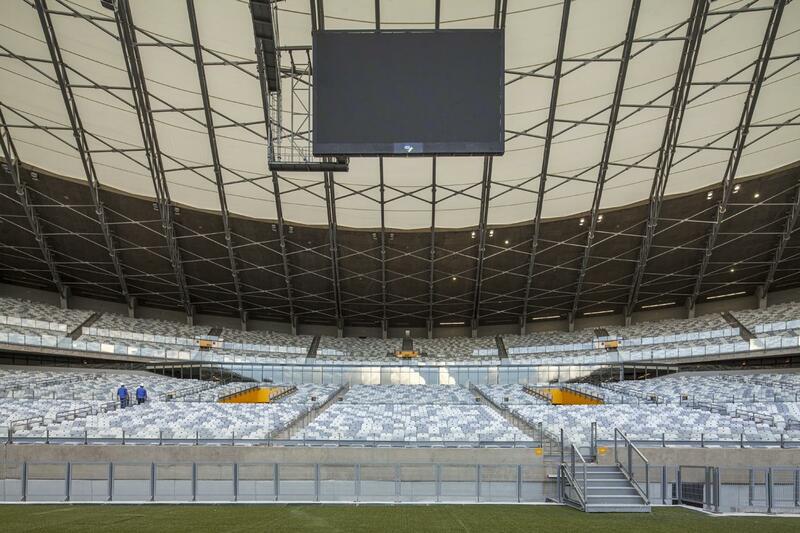 Which means the architects were successful, fitting 350,000sqm seamlessly. 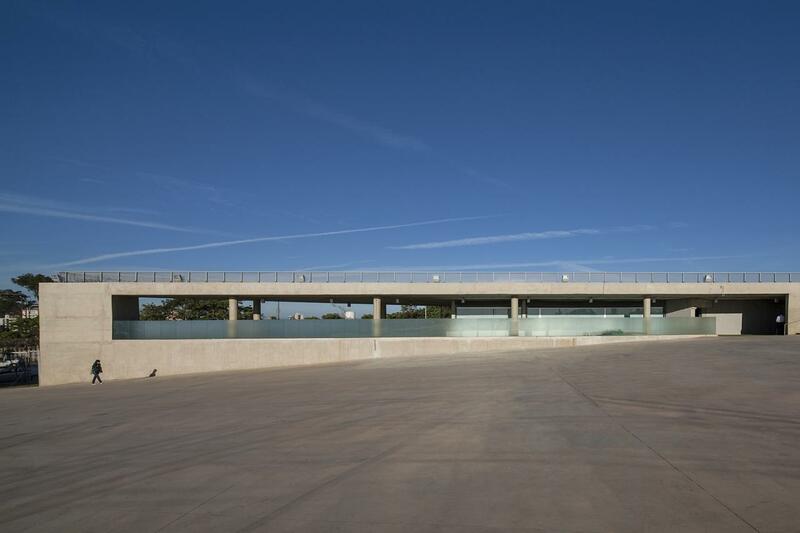 Bruno Campos of BCMF Arquitetos tells us how and why it was done. 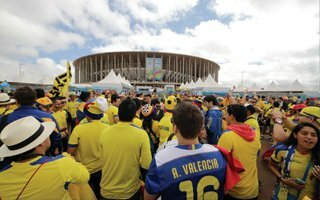 Starting value of average matchday ticket is half of what many Brazilians earn. 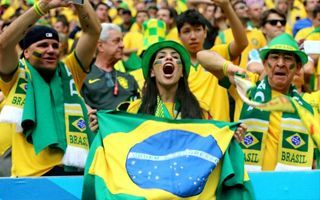 No surprise that 90% of locals attending World Cup matches are from two richest social groups and are almost never black. 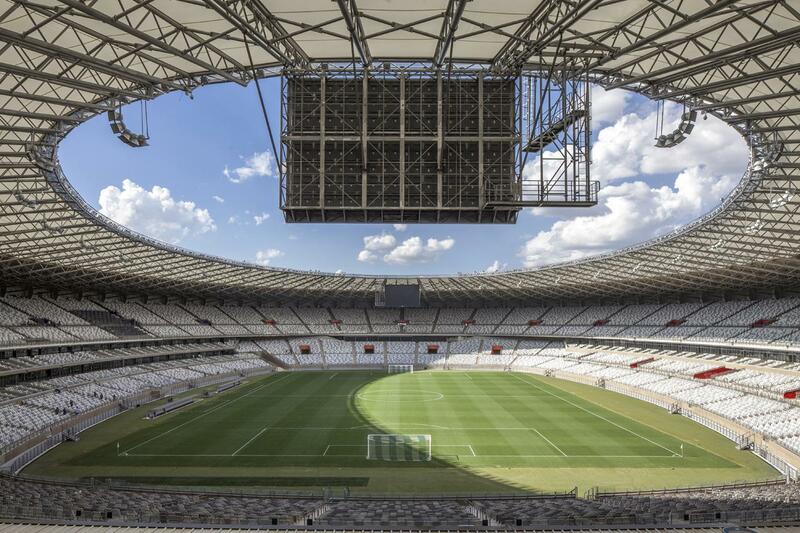 29.06.2014 World Cup: Your matchday photos matter! 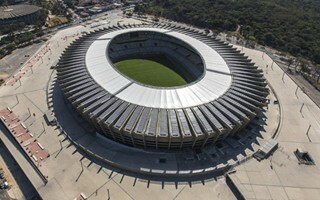 As with every mega event covered at StadiumDB.com, we reach out to our Users present on location. 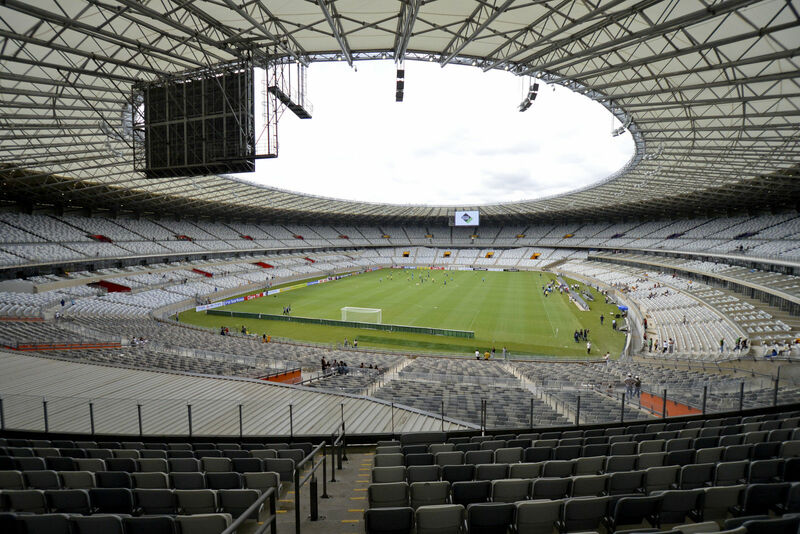 If you were lucky enough to get a ticket, have photos of local stadiums and would like to share any – this message is for you. 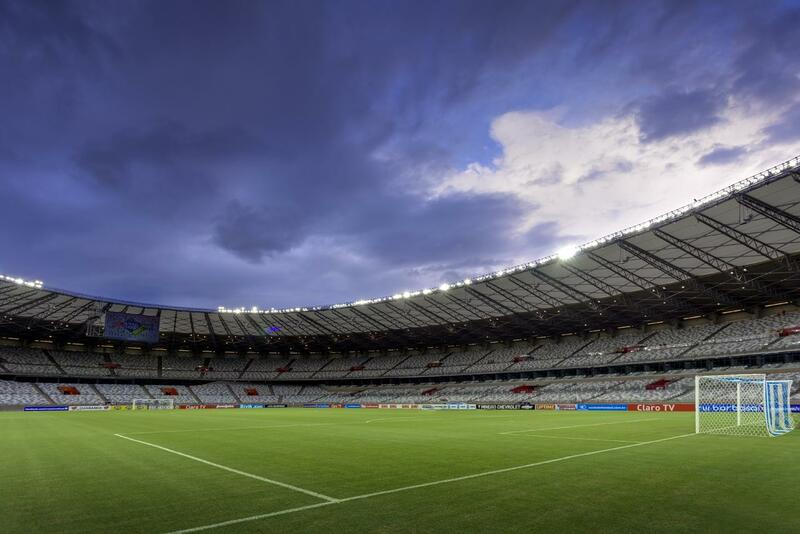 Just hours before yesterday’s Cruzeiro home game a massive storm went over Belo Horizonte. 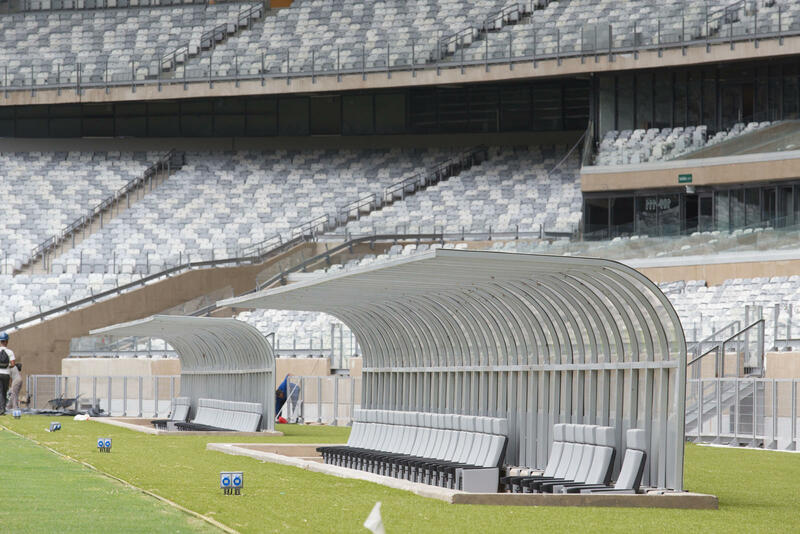 Stadium roof was slightly damaged, while field drainage couldn’t cope with the excessive amount of water. 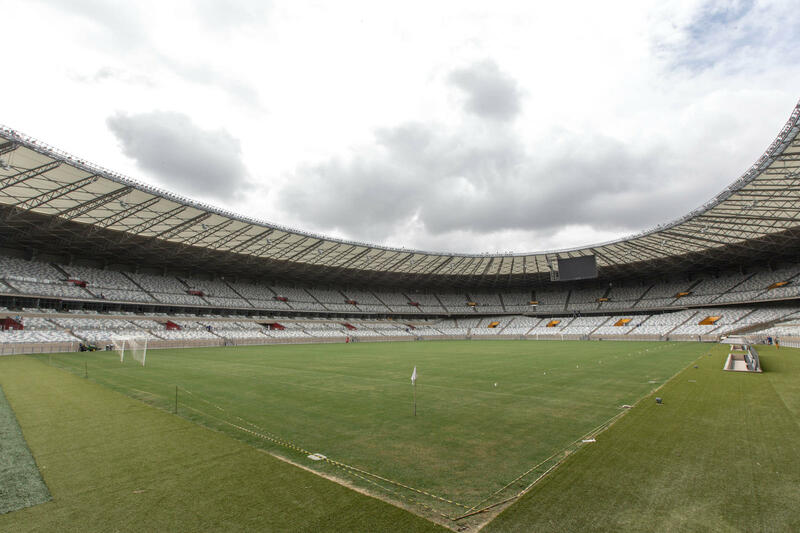 Still, the game was held without problems. 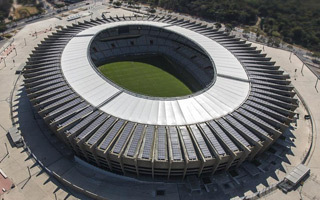 It’s been exactly 30 days since we started the Stadium of the Year competition. 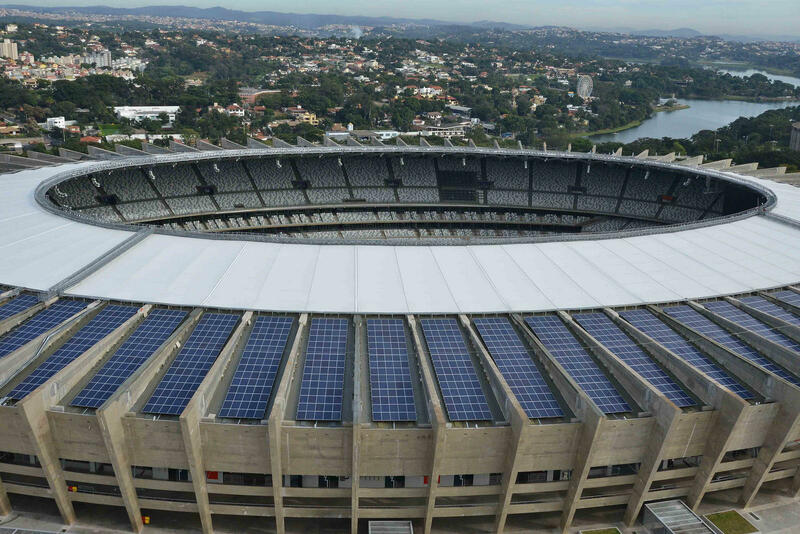 Now we enter the final 24 hours of the vote. 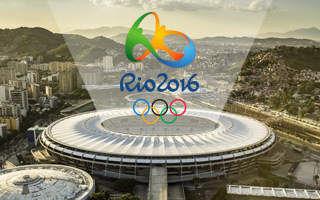 If you haven’t selected your favourites, now is the time! 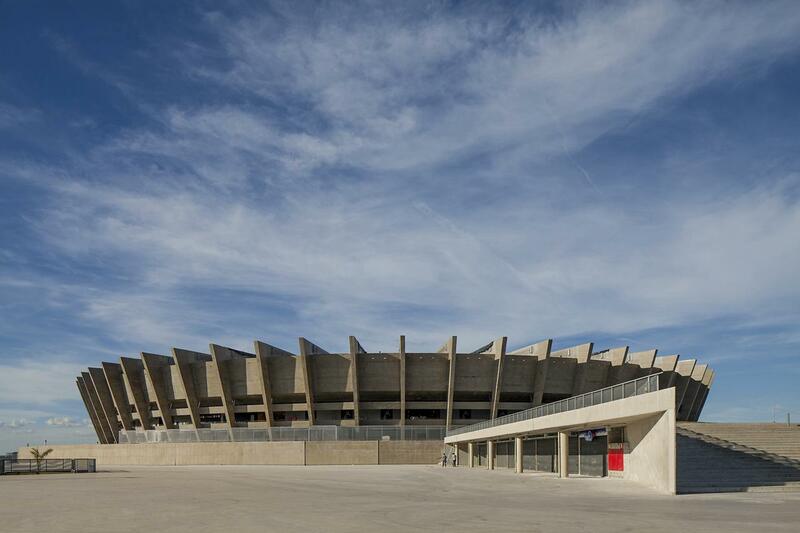 A true temple of Brazilian football is certain to keep its legend alive after the 2014 World Cup. 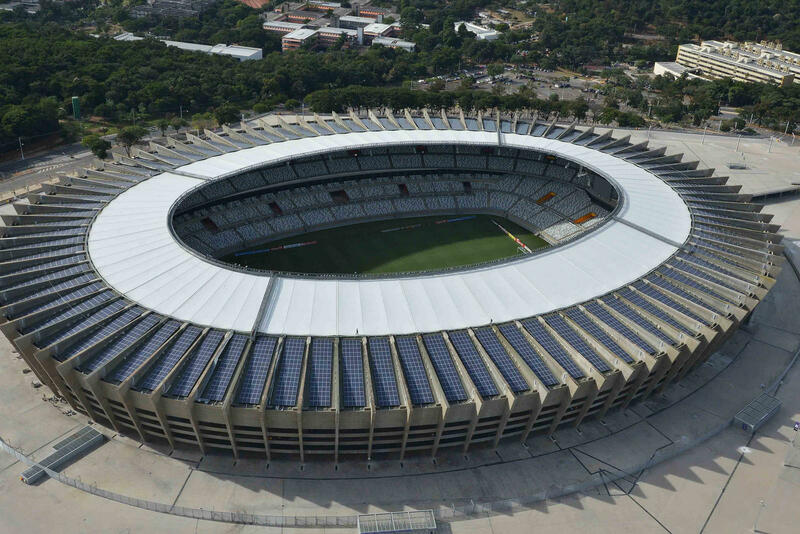 Not only will it host the tournament's semifinal, but its outer appearance remains as it used to be when it had capacity of 130,000 people. 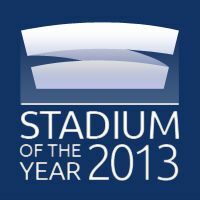 23.01.2014 Stadium of the Year 2013: Let the vote begin! 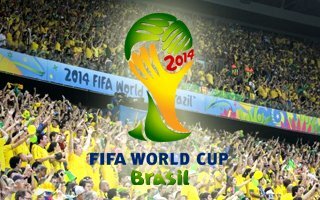 It's time to start the selection process. 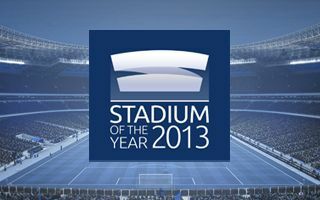 For the next month you can thoroughly review all candidates and make your move, selecting 2013's Stadium of the Year. 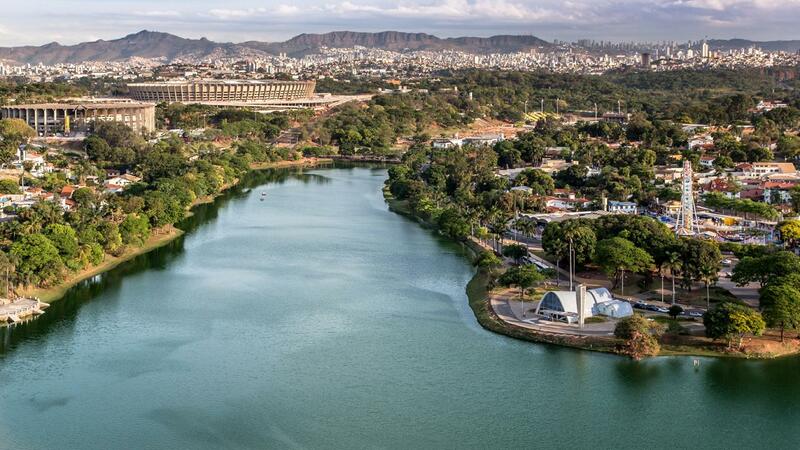 The world's largest open competition of this kind begins now! 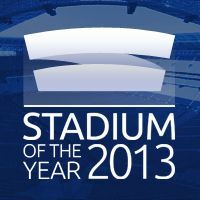 07.01.2014 Stadium of the Year 2013: Time to nominate! 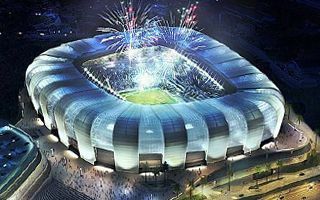 Just like every year, we invite you to propose nominees before the Stadium of the Year vote begins. 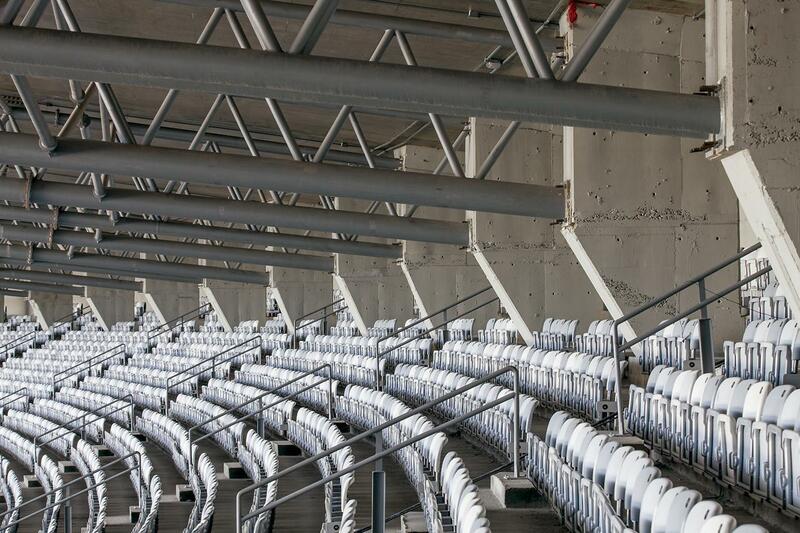 We created an initial list of eligible stadiums, but count on you to suggest more, if you think we missed any worthy building. 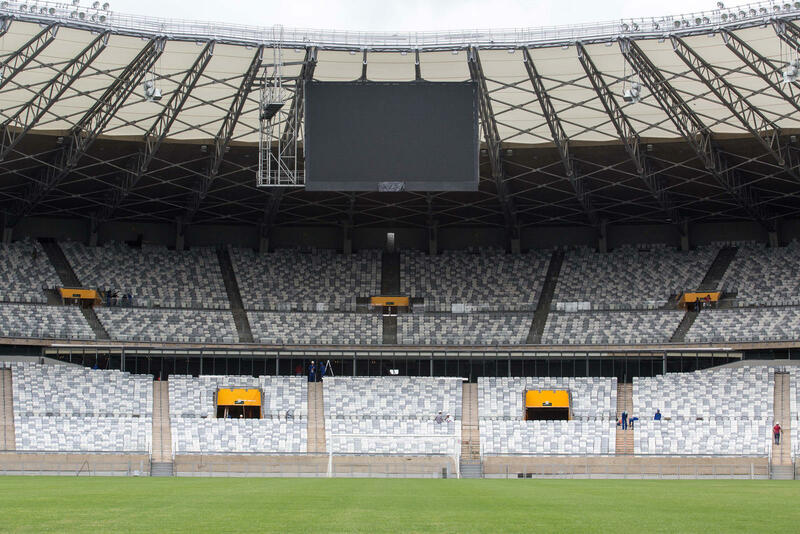 When global media were impatiently counting days for delayed stadium deliveries, few could expect that preparation fears will instantly be replaced with millions taking into the streets. 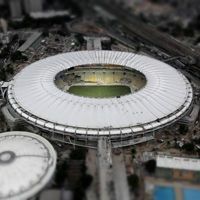 As Brazilian team prepares to win over Spain, polls show that protesters enjoy 80% support from the population, while the president went under 30% within days. 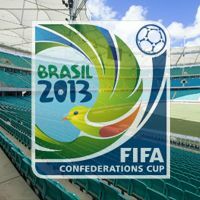 The opening game is under way, so it’s about time to check the host venues of 2013 Confederations Cup. 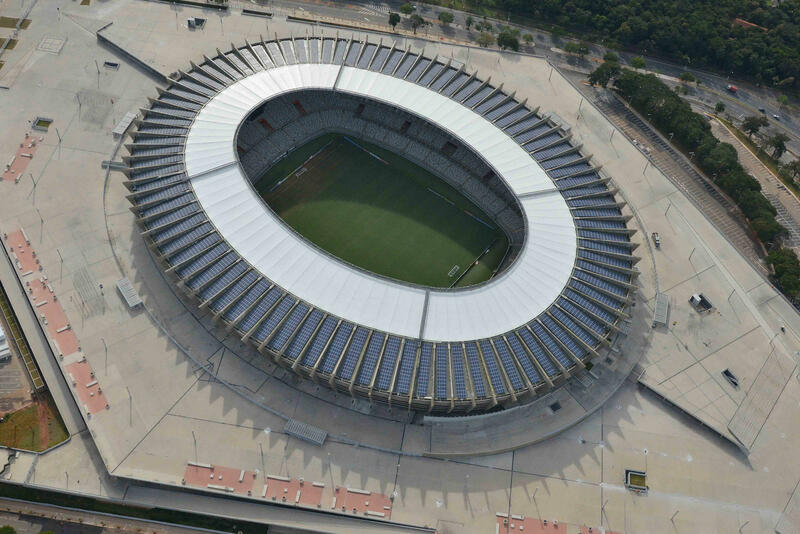 Three of them are brand new, three largely revamped from how they used to look. 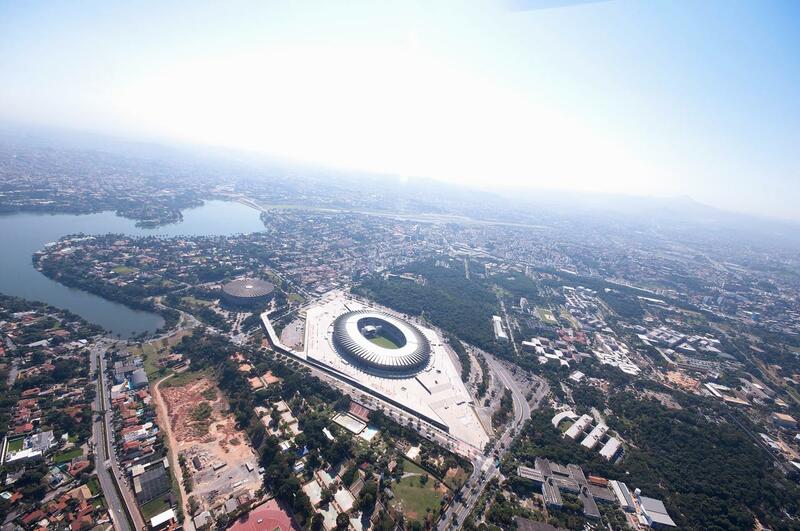 Brazilians did well to build them. Wait, did they? 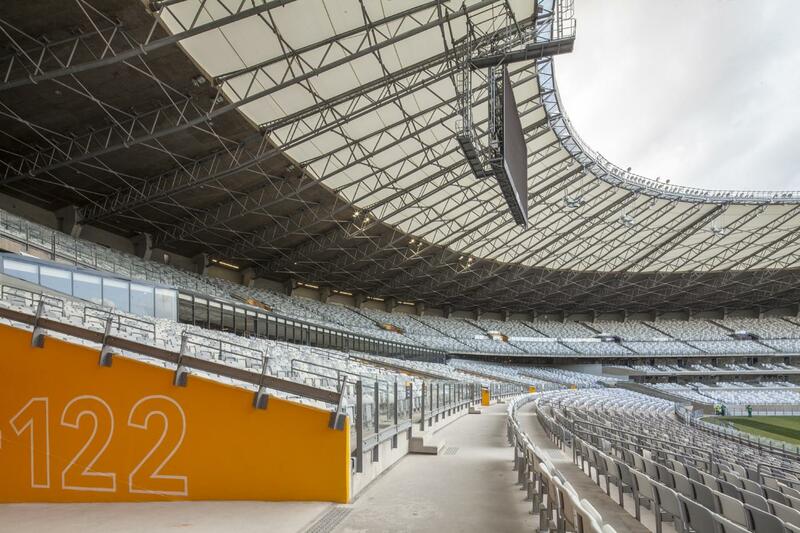 New stadia brought new ticket prices and a new problem for Brazilian fans. 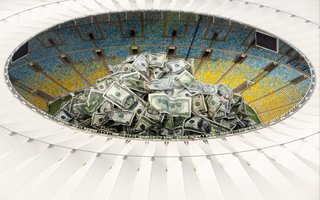 Cheapest tickets for some games already cost more than in most European leagues and situation may get worse. 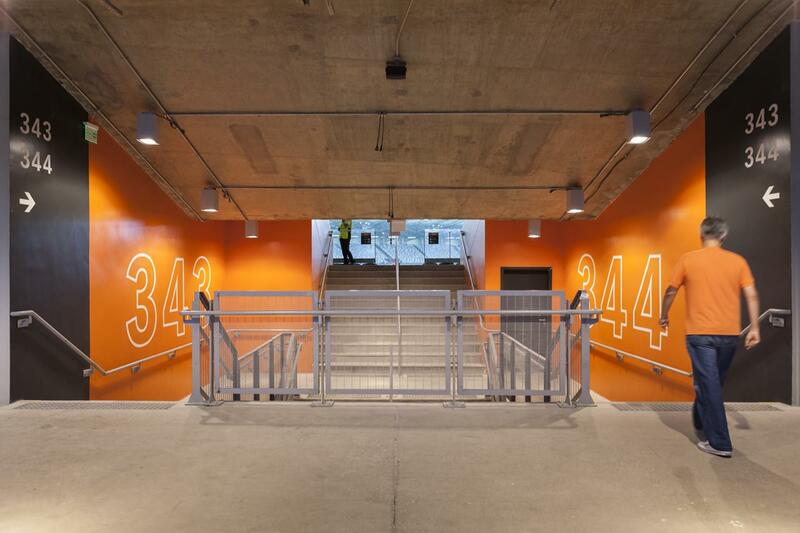 The government is concerned about gentrification threat, Reuters reports.